CONCORD, NC – The Dirt Track at Charlotte will double the amount of competition and entertainment coming to Charlotte’s world-class clay oval in May. Track officials and the World of Outlaws on Friday unveiled the Patriot Nationals, a two-day event May 24-25, featuring the stars of the World of Outlaws NOS Energy Sprint Cars headlining a Friday-Saturday smorgasbord of sprint car excitement less than 24 hours before the green flag for the 60th running of the Coca-Cola 600. 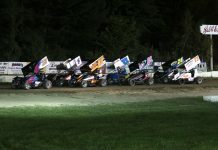 Each Patriot Nationals sprint car feature pays $15,000 to win and $1,000 to start – making The Dirt Track at Charlotte the host of the richest sprint car event in the Southeast. 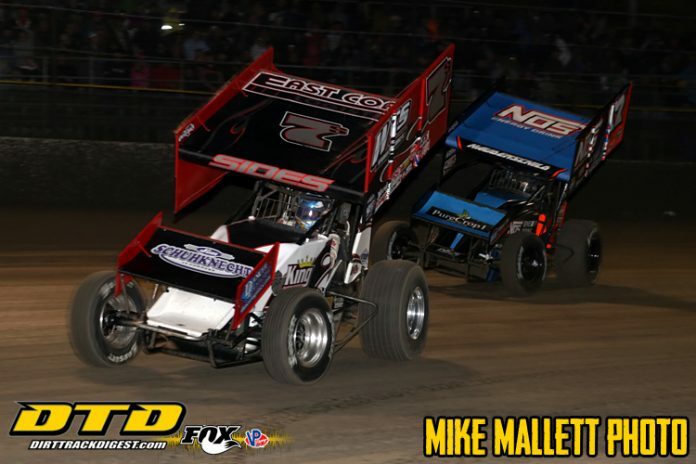 In addition to the Patriot Nationals – which features a striking, red-white-and-blue logo saluting the U.S. Armed Forces on Memorial Day weekend – The Dirt Track, celebrating its 20th season, will again host the World of Outlaws World Finals presented by Can-Am, Nov. 7-9. 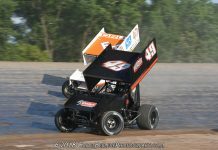 One of the Outlaws’ most popular drivers is all-in on the Patriot Nationals. Fans in attendance will also witness the fender-banging FUEL Racing Series on Friday and the SECA Late Models on Saturday, serving as action-packed undercards for the Patriot Nationals. Two-day packages to the Patriot Nationals start at just $60. For tickets to the Patriot Nationals as well as all of Charlotte Motor Speedway’s 2019 events, including the 60th Coca-Cola 600 on May 26, visit www.charlottemotorspeedway.com/tickets.